The internet offers a wealth of amazing fonts that won&apos;t cost you a penny if you know where to look. They come in all manner of designs, ranging from the retro to the handwritten to name but a few. In this article, we&apos;re focusing on brush fonts, which can add a playful, human approach to your designs. Plus, they look great printed. 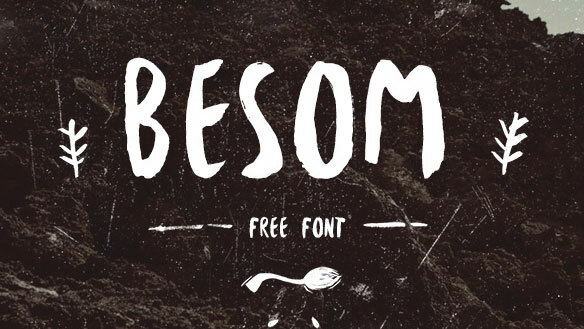 Here we&apos;ve scoured the web to find the best examples of free brush fonts to put to good use in your projects. Enjoy! Even though this font packs plenty of humour, Thornhill made sure that it doesn&apos;t appear childish. This means that it&apos;s suitable for a variety of branding and marketing purposes, with happy downloaders pointing out that it bares an uncanny similarity to the Nando&apos;s typography. 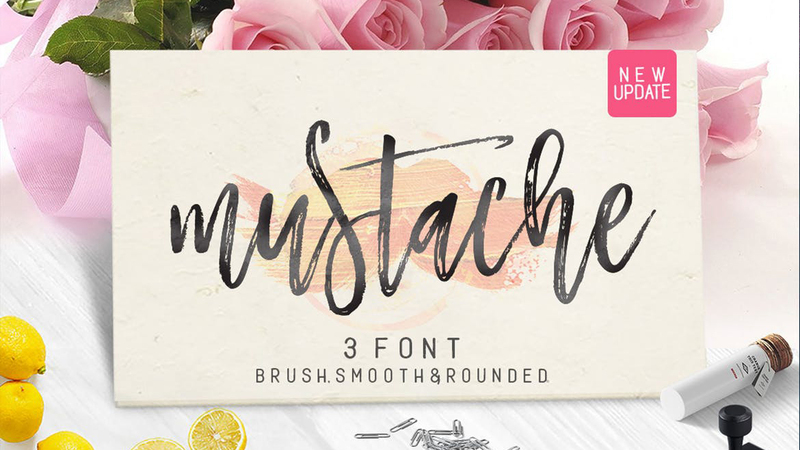 Brush fonts are a great way to give your lettering that handmade touch, and that&apos;s exactly what you get with Mustache. Designed by Joel Maker, Mustache includes a full set of uppercase and lowercase letters, plus a large range of punctuation and numerals. What&apos;s more, Mustache comes with plenty of scope when it comes to personalisation. With the help of stylistic alternatives and opentype features, Mustache can be tweaked to look truly individual. Simply download it for free, activate Stylistic Alternatives and adjust to your heart&apos;s content. Creator Simon Stratford wanted to capture a sense of horror mixed with grunge in his spooky display typeface, Gallow Tree. And having scratched it out with a Faber Castell brush pen before scanning it and converting it with Glyphs App, we&apos;d say he&apos;s succeeded. 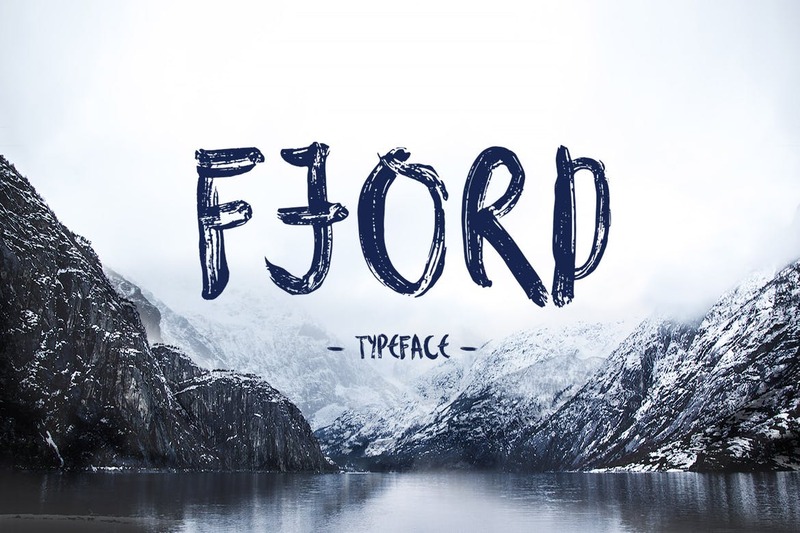 Unsurprisingly, the stunning Fjord typeface takes its inspiration from Norway&apos;s natural landscape. 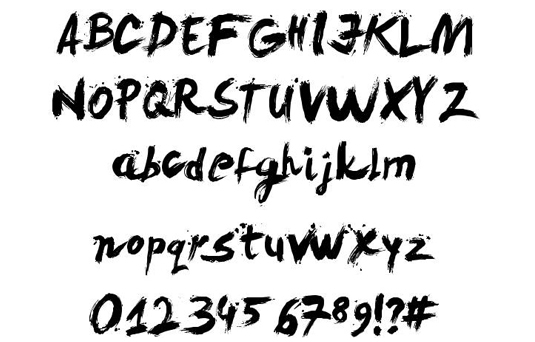 Created by painter Krisjanis Mezulis, the font was originally drawn with a thick brush on plastic to achieve its unique distorted look. Both beautiful and chilling at the same time, this font has a lot of flexibility. 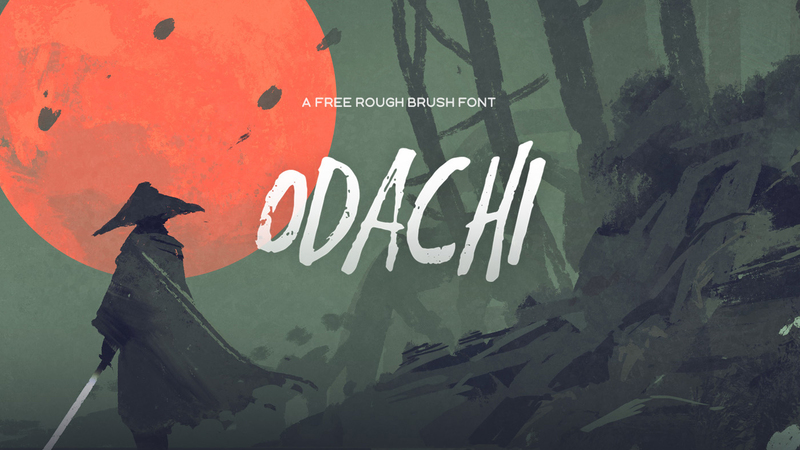 We love this beautiful Japanese-inspired design Odachi, by UI and type designer Mehmet Reha Tugcu. 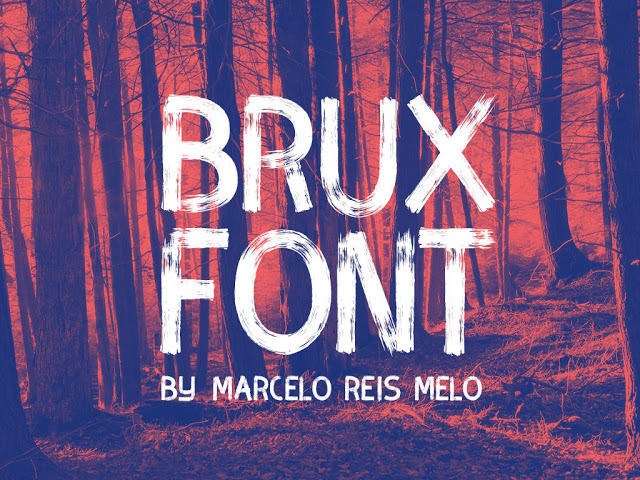 One of many stunning typefaces created by Tugcu, this has got to be our favourite of his brush fonts designs, not least because he&apos;s made it available for others to use in any project, even commercial endeavours. 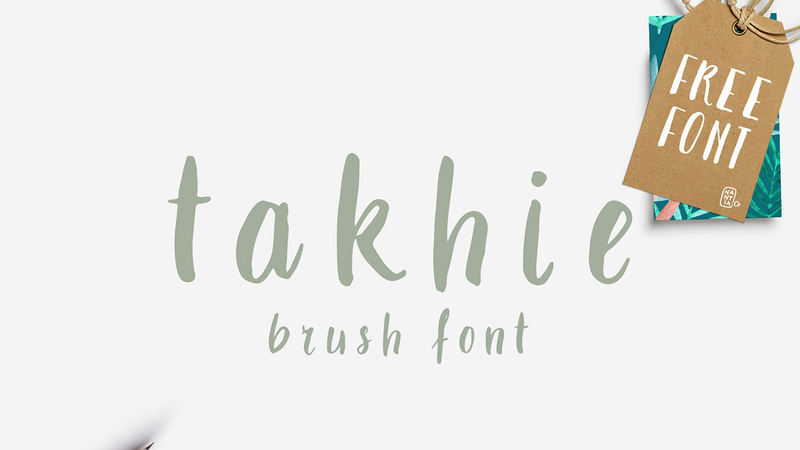 Designer and illustrator Nantia is the woman behind this simple yet elegant free brush font Takhie. One of many beautiful fonts, Nantia&apos;s Behance page is full of free resources for designers and artists. Want more? You can purchase the pro version of Takhie over on Nantia&apos;s website for a very affordable $15. 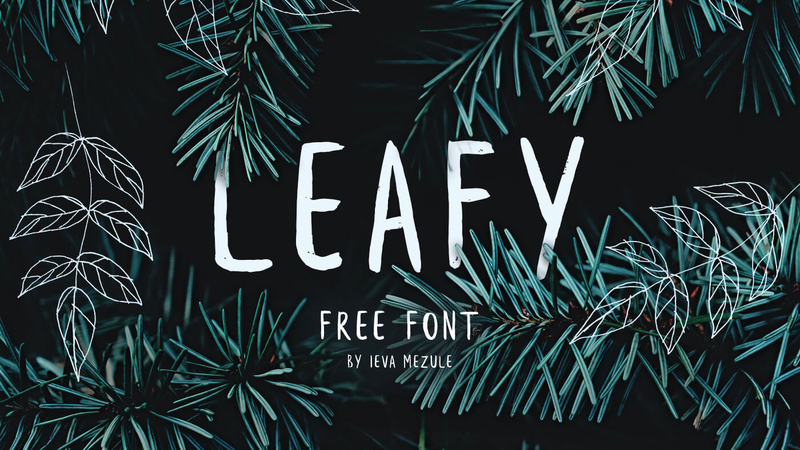 Leafy is a free handwritten brush font put together by Krisijanis Mezulis. It includes 95 characters, each of which is individual and unique. This all-caps font has a naive, neat feel that promises to &apos;make you feel warm inside&apos;. Brush fonts don&apos;t need to be sketchy and rough – this one sports some lovely smooth curves and edges, and a calligraphic aesthetic. Brusher is an elegant, flowing font that&apos;s a little more controlled than many other brush fonts. Download it for free on Behance. Macbeth is an SVG font that&apos;s gained plenty of attention and appreciation on Behance – and it&apos;s free for both personal and commercial use. 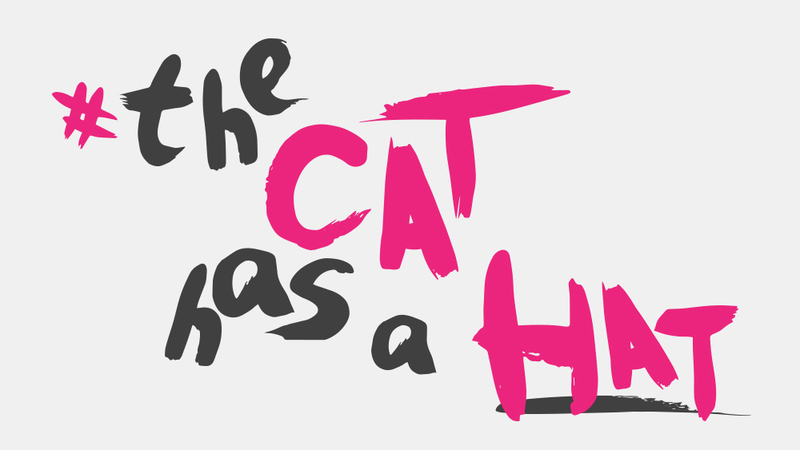 The SVG format provides scope for plenty of authentic brush details in the hand-drawn characters. 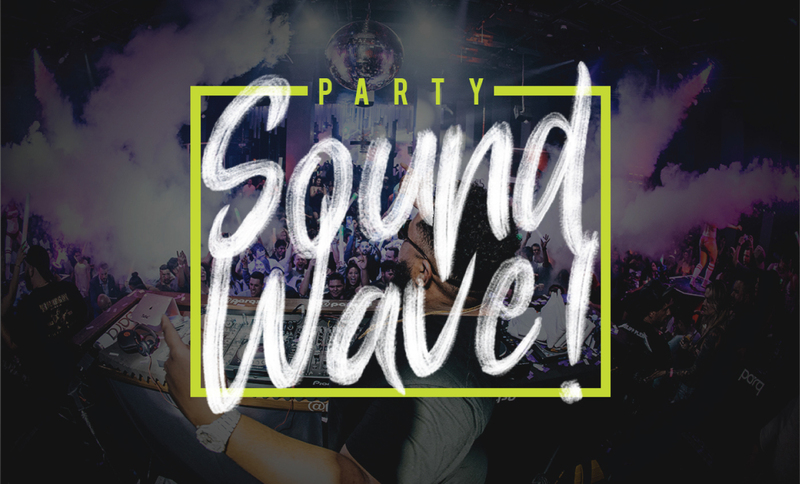 This brash and energetic font would be ideal for use on displays, clothing or music artwork. 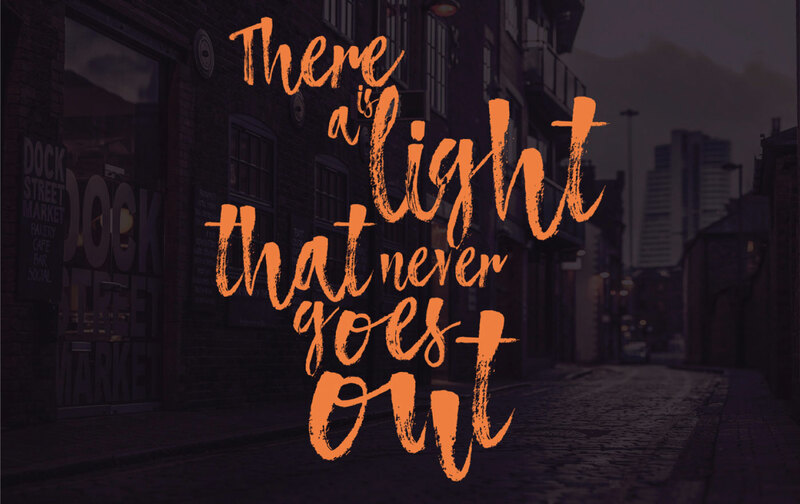 There are plenty of reasons to love Yasir Ekinci&apos;s brush font, Atmosphere, not least that it&apos;s free for both personal and commercial use. The font features both uppercase and lowercase characters, as well as numbers and all the punctuation and symbols you&apos;ll need, all of them hand-drawn with an authentic and wonderfully scratchy brush texture. Atmosphere&apos;s slightly dry brush texture really brings it to life, and as an added bonus, Ekinci has thrown in a set of 20 watercolour splotches to help liven up your work. 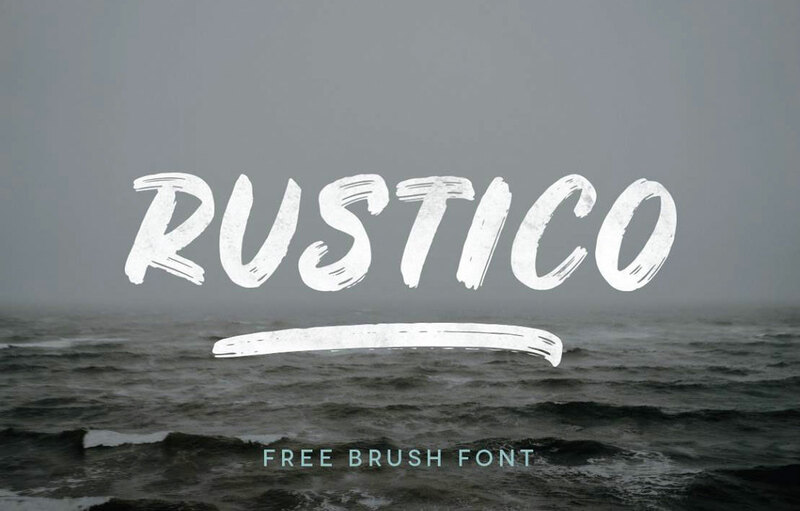 Made by Hustle Supply Co, Rustico is a bold brush font that&apos;s designed to help you make an eye-catching statement, whatever you&apos;re creating. 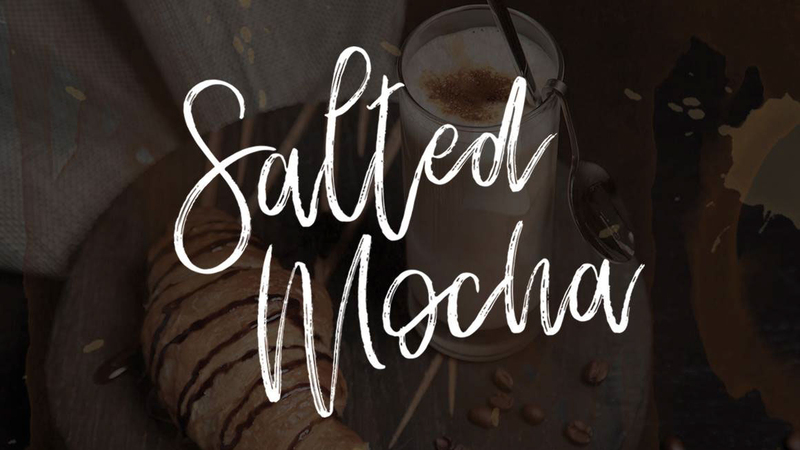 Free for both personal and commercial use, its all-caps letterforms are drawn at a slight italic slant, and the rough and realistic brush texture gives Rustico a lively and energetic feel. 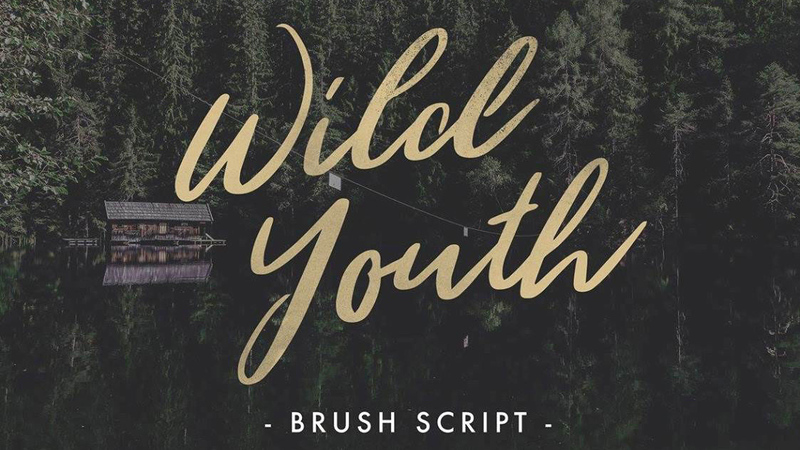 Wild Youth is beautiful hand-drawn brush font from designer Jeremy Vessey. Available on Behance, Wild Youth is described as &apos;a modern font with the distinct influence of adventure and the great outdoors&apos;. Perfect for logos, quotes, stationary, apparel and much more, Wild Youth is free for both personal and commercial use. 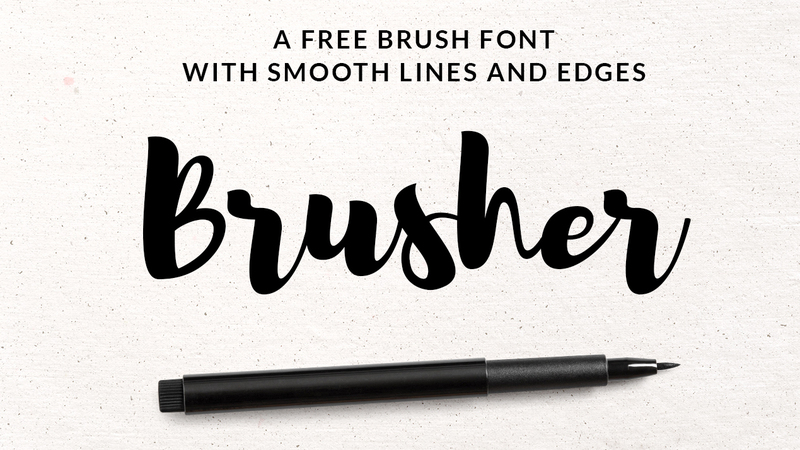 Hand brushed by Ieva Mezule, Banaue is a handwritten free brush font with a homemade look. The name is taken from the Philippines – Banaue being a place in the north where rice terraces stretch around mountains, hence the local rice planter featured in the main image. 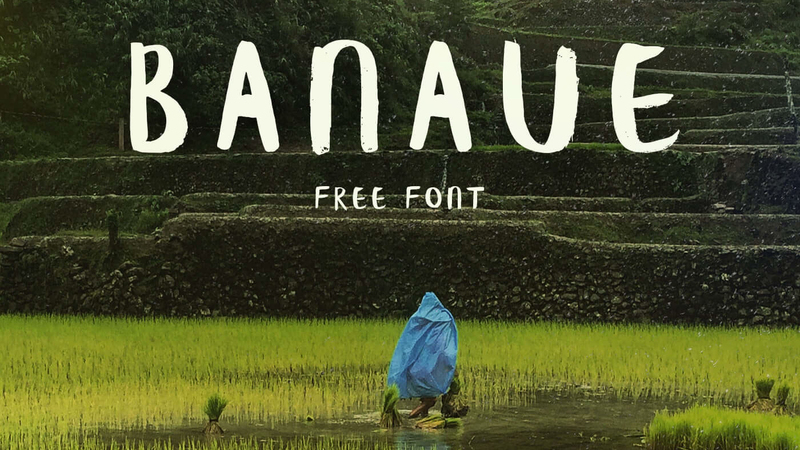 Banaue features 104 characters, with all the basic glyphs. 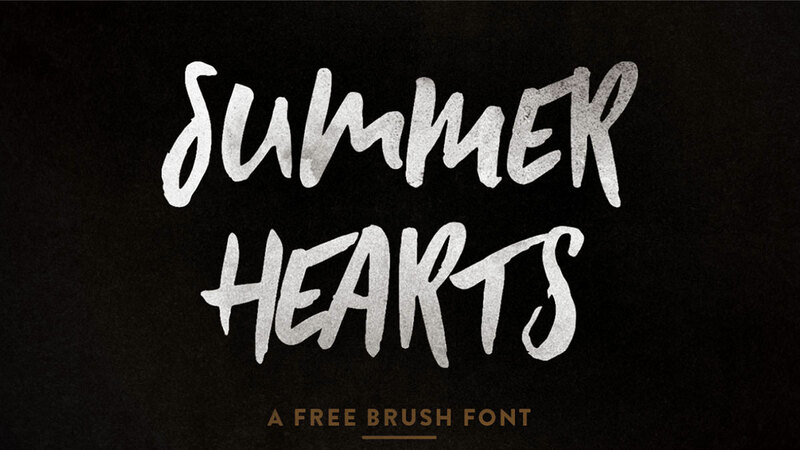 Summer Hearts is a hand-painted, all-caps brush typeface designed by Hustle Supply Co, aka Jeremy Vessey, a type designer based in Charlottetown, Canada. The slightly spiky nature of these letterforms would make this free brush font great for a variety of print and digital projects, including posters, branding and logo design. This font was designed by Jroh Creative, a creative agency based in Aceh in Indonesia. 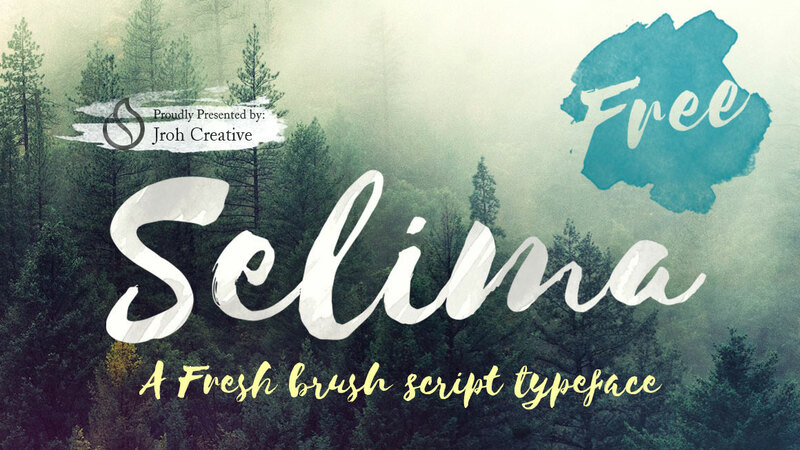 Selima is a beautiful and elegant brush font, which is free for both personal and commercial use. Its curved letterforms are combined with slightly raw edges to give a haphazard, free feel. 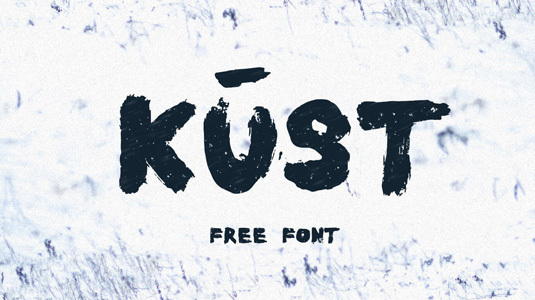 Kust is another font created by fashion designer and painter Ieva Mezule. The letters were drawn on hard paper with a thick brush using pure black ink. Featuring 80 characters, every letter has a unique structure, with a distorted look. 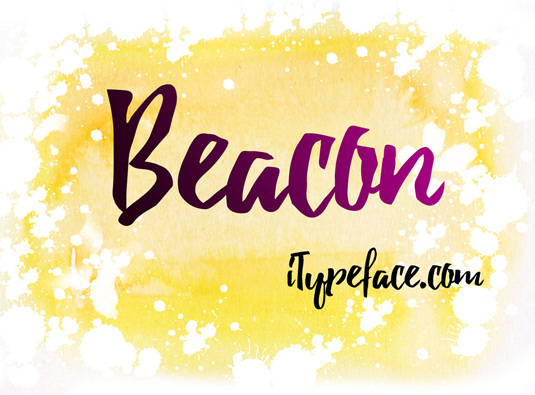 Beacon is a wonderfully fluid serifed typeface created by Cuong Truong Van. Free to download for both personal and commercial use, this font is packed with idiosyncrasies that are sure to add some personality to your work. We particularly like how the open letters and uneven curves give this font a rough wobbly finish. Thanks to its fading brush marks, Ampad Brush creates a distressed look as the letters appear to be scraped across the screen. 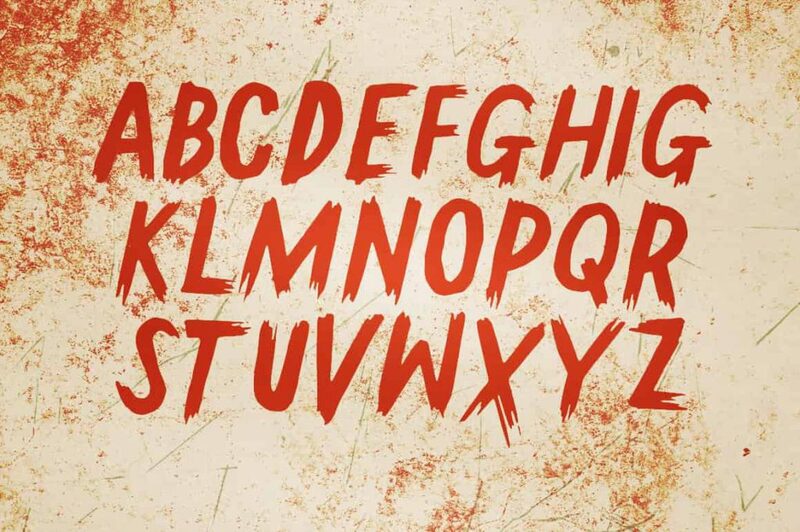 Made by Gene Gilmore, Ampad Brush is the go-to typeface if you&apos;re looking to inject a sense of horror to your artwork. Ampad comes in four different styles, so you can pick the best one to suit your project. 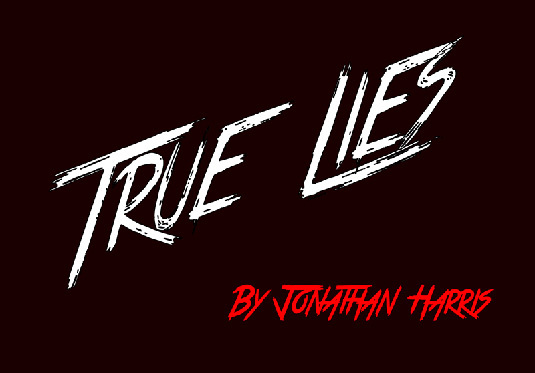 Screeching over the page like a car burning rubber, Jonathan Harris&apos; True Lies font is free to download for personal use. 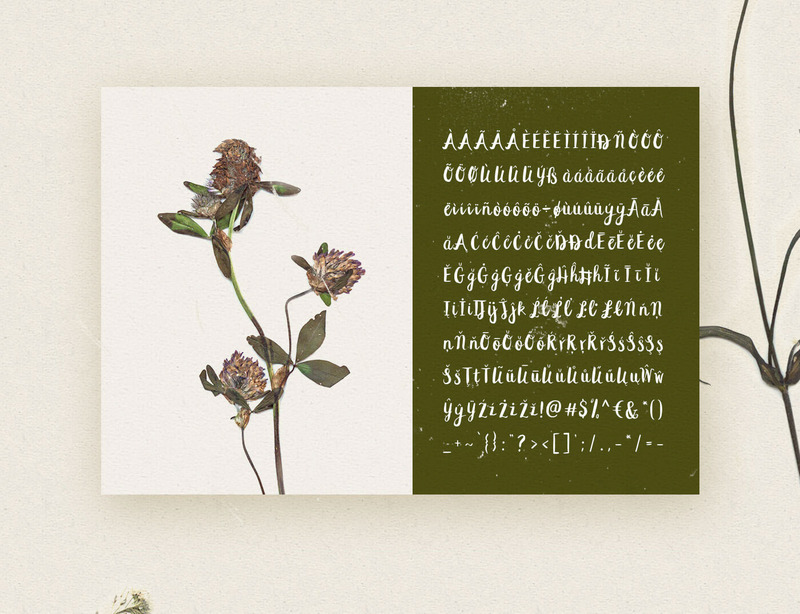 As well as covering the alphabet, this typeface also includes numbers, symbols and punctuation marks. With a gritty, uneven finish and not a serif to be seen, True Lies is sure to make your text look rough and ready. 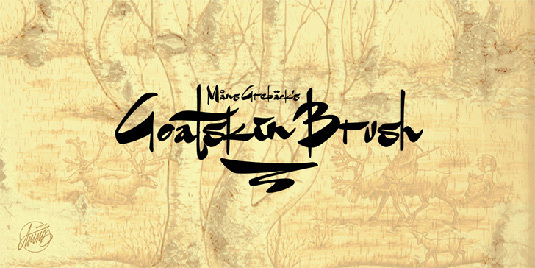 The broad ink strokes in Måns Grebäck&apos;s Goatskin Brush are ideal for artists looking to add a splash of Asian influence to their work. Carefully simulating the type of marks you would expect to find in East Asian calligraphy, Goatskin Brush is the best of both worlds as it adapts the style to fit the English alphabet. Including uppercase and lowercase words, plus a selection of punctuation marks, Goatskin Brush is a must-have typeface for your toolkit. 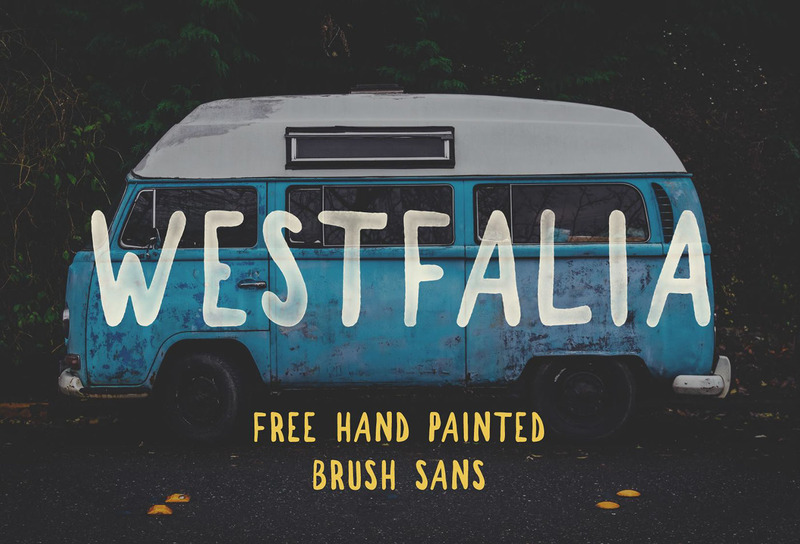 This free brush font was designed by the Romanian designer Levi Szekeres. The paint splatter holds similarities to album covers from David Guetta&apos;s &apos;One Love&apos; to Coldplay&apos;s &apos;Viva la Vida&apos;. A variation called Levi ReBrushed is also available for free and includes variations on the paint splatter.